Hi Friends, Sometimes if you are busy and want to quickly start your Computer, But you can always see that a "Starting Windows" Home Screen always Starts and Take 6-10 Seconds and thus waste your time. But Don't worry, now i am going to explain you that how you can get rid of that home screen and Save Your Computer's Loading Time. 2. Now Click on Boot Tab. Under Boot Options, find "No GUI Boot" and Mark the box. Now click on Apply and Ok and Restart your PC. 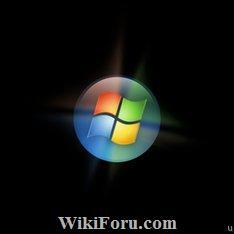 Now Windows Splash will not Run and you will get directly to Windows Welcome Screen. Kindly Bookmark and Share if you like it. You can ask Questions through Comments.